Please find below a list of the current courses and lessons I offer. For more information on special offers please contact me on 07368 243521 or 01242 578032. I currently provide driving lessons in the following postcode areas: GL50, GL51, GL52 and GL53. This course includes: 15 hours of in car tuition at £27.00 per hour, the driving test fee and the LD System DVD and workbook. I usually book your driving test to tie in with the last hour of the course (provided you have passed your theory test). This course includes: 20 hours of in car tuition at £27.00 per hour, the driving test fee and the LD System DVD and workbook. I will usually book your driving test to tie in with the last hour of the course (provided you have passed your theory test). This course includes: 30 hours of in car tuition at £27.00 per hour, the driving test fee and the LD System DVD and workbook. I will usually book your driving test to tie in with the last hour of the course (provided you have passed your theory test). 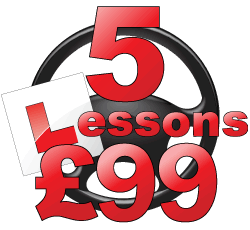 This course includes: 30 hours of in car tuition at £28.00 per hour, the driving test fee and the LD System DVD and workbook. Your local LDC instructor will usually book your driving test to tie in with the last hour of the course (provided you have passed your theory test).